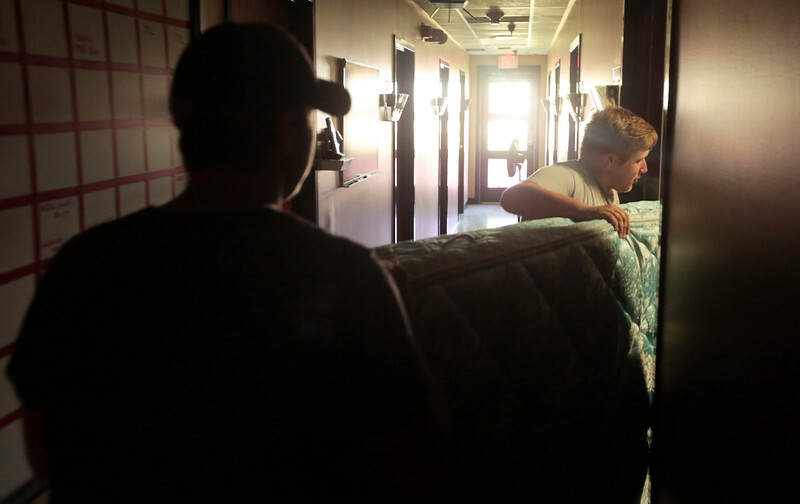 Wyatt Dawdy moves into his dorm room at Boone County Fire Protection District Station 1 on June 21. Firefighters who are part of the district can live at one of the stations for free as long as they commit to at least 40 hours a week of time on call. Most firefighters end up having problems with over-, rather than under-commiting.